Happy Holidays, Businesses! Get More Reviews on Leafly this Holiday Season to Enter to Win! 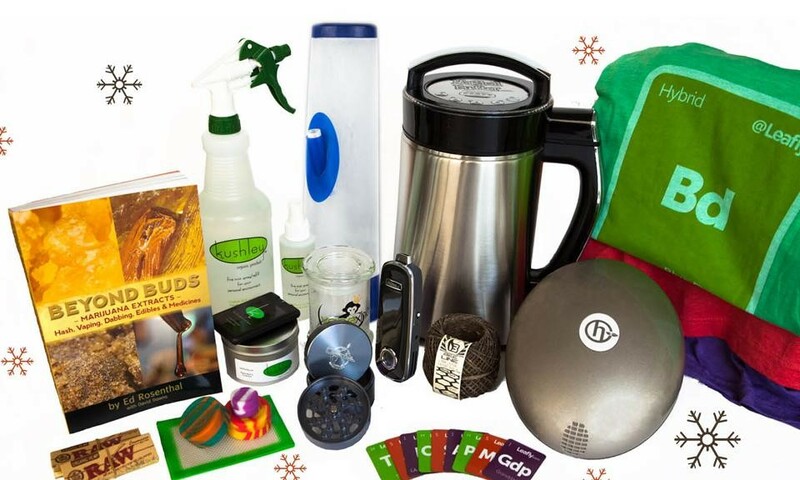 Congratulations to Canna Daddy's, the grand prize winner of the Holiday Gift Pack! The location that receives the most reviews on Leafly will win a gift pack for their team! Ed Rosenthal’s book Beyond Buds: Marijuana Extracts, signed by Ed himself! One Leafly gear pack with strain t-shirts, strain tile magnets, Leafly grinder, and more! Thanks to our sponsors Herbalizer, VapeXhale, Magical Butter, Oil Slick, Kushley, Ed Rosenthal, and Eyce for donating prizes. Promotion offered by Leafly Holdings Inc., 1920 Eastlake Ave E, Seattle WA 98012, and sponsored by Herbalizer, VapeXhale, Magical Butter, Oil Slick, Kushley, Ed Rosenthal.com, and Eyce. Promotion open until December 18, 2014, at 11:59 pm PST. Void where prohibited. No cash value. No purchase necessary. Winners need not be present nor make any payment to claim prize. Promotion may be altered at discontinued at any time for any reason. Leafly, Herbalizer, VapeXhale, Magical Butter, Oil Slick, Kushley, Ed Rosenthal.com, Eyce LLC and their employees and affiliates are not responsible for any claims, damages, losses or injuries arising from or relating to participation in the promotion and acceptance, possession or use of the prizes. For full contest rules see http://www.leafly.com/contests.